Gun control hasn’t worked. This is an inescapable conclusion based on what we see. Despite having piles of regulations, crime plagues many areas, and people commit these crimes with guns despite all those laws. 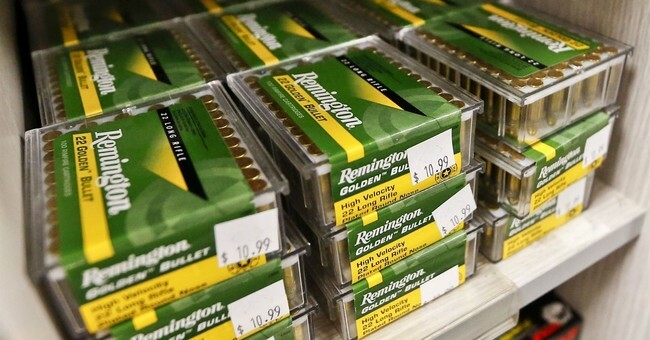 So the anti-gunners have started going after ammunition. Their thinking is that if you restrict the ammunition, criminals will suddenly become loving, caring people. Davis’ family has suffered tragic losses from the violence. “I talk about my kid brother Vito, I also lost another brother, Keon, I lost my uncle,” he said. I get being sick of it. I get thinking it needs to stop. But does anyone with half a brain think that taxing ammunition will do a damn thing? Anything at all? It won’t. What it will do is make it more difficult for the law-abiding, particularly the poor. Taxes on the purchase of goods have a disproportional impact on the economically disadvantaged. That’s right. Detroit is hurting poor people. Meanwhile, it won’t do anything to the criminals that run rampant in Detroit. At worst, it’ll force them to buy ammunition elsewhere. That’s it. More likely, though, they’ll buy the ammo, laugh at the city’s ridiculous programs, and go right on committing every brand of atrocity that strikes their fancy. They won’t care. Look, I applaud Detroit for trying to get to the roots of violence. I’m glad it’s looking at ways to deal with violence without exclusively blaming guns. It’s about time someone was willing to do that. But this is stupid, if for no other reason than because it thinks funding it with an ammo tax is a smart way to approach it. It’s clear that Detroit’s still blaming guns for the violence, even if it’s not relying only on gun control to do it. It’s the same mentality, just slightly covered over. In the end, none of this is going to have the impact the city wants it to have, which will probably result in more stupidity. Detroit will probably point and talk about how this didn’t do anything, so more gun control is clearly needed, never recognizing that the programs it counted on changing things are, at best, minimally effective. If you’re in Detroit, I highly recommend you go ahead and stock up on your ammo now.